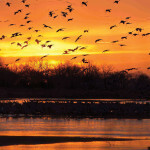 Each spring, more than 80 percent of the world’s population of Sandhill cranes gather along Nebraska’s Platte River. One of the most majestic migrations on earth, the open sky is covered with millions of flapping wings and a chorus of calls. 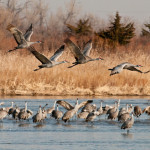 The central Platte River Valley is a flurry of activity each spring—March and April—as the cranes arrive to rest and refuel for their long journey north. 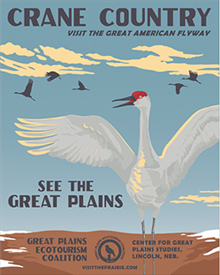 Learn more about regional activities at the Grand Island Convention & Visitors Center.